Visitors can give inmates and minimum security residents money (via cash, credit card, or ATM card) through the SecureDeposit® System that is operated by Keefe Commissary Network. 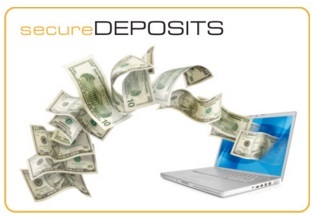 Deposits are made via a kiosk (located at the Main Institution, via telephone (1-866-345-1884), or via the Internet (https://www.accesscorrections.com). The Main Facility Public Lobby hours may be adjusted without notice but generally is available for deposits from 8:00am to 9:00pm seven days per week. For information on inmate phone calls and phone accounts, click Here. There is a fee structure, set and owned by the Keefe Commissary Network. The below table illustrates the fees.